July 10, 2018 – Last month, the Canada Revenue Agency announced a new simplified taxation process for non-resident artists. As we pointed out, this simplified process is a step in the right direction, but more streamlining is still needed. Does it apply to non-resident payers? Does it apply to unincorporated groups? 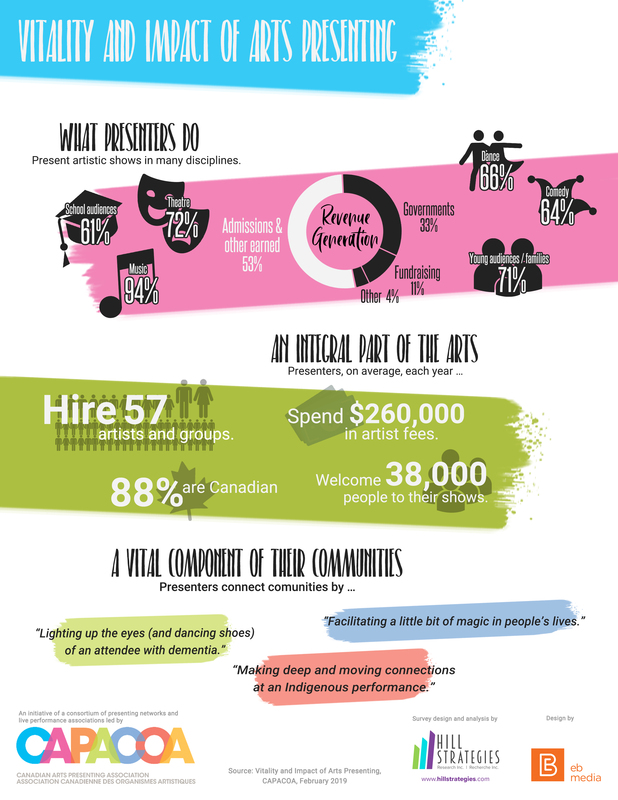 The Performing Arts Tax Working Group captured these questions and several other observations into a Feedback Brief that was submitted to the Canada Revenue Agency yesterday. This Feedback Brief also makes the case for exempting deposits from the withholding obligation. This is a long-standing request of the Working Group. With the summer vacation, it may take a few months for the CRA to prepare answers. We will keep you informed as they come in. As resources are invested to send delegations of Canadians at foreign performing arts events with intent of establishing reciprocal exchanges, we ought to ensure that international taxation barriers don't get in the way of these exchanges. Our policy development efforts from the last three years enabled us to acquire a better understanding of the scope – and limitations – of Canada Revenue Agency’s mandate. Through our work with the Canada Revenue Agency, we have become acutely aware that the source of the problems with non-resident taxation is to be found and remedied in Canada’s tax treaties. CAPACOA therefore developed on behalf of the Performing Arts Tax Working Group a White Paper on International Taxation of Entertainers. This White Paper highlights options and exclusions that should be considered by the government of Canada and its trade partners in the negotiation of new tax treaties or in the renegotiation of existing treaties. This is the beginning of a new chapter for the Performing Arts Tax Working Group (and likely not a short one).